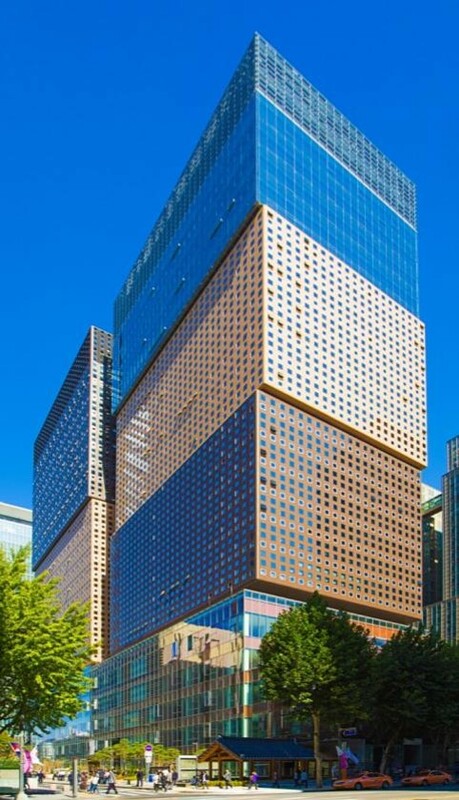 Gwanghwamun D-Tower is a twin commercial office and retail tower located in the cultural and heritage area of Seoul’s Jong-ro district — established by the Joseon Dynasty 600 year ago. The district is commonly referred to as “the face and heart” of Korea because of its important roles in the country’s politics, economics, culture, and history. This prestigious address is located near the Blue House (presidential residence) and the US embassy, foreign affairs office, and the ministry of security. Occupants of this high-profile building expect optimal performance and comfort delivered through state-of-the-art technology. Building owners wish to achieve high levels of energy efficiency. Initially, a Schneider Electric competitor was specified to provide the building management system. But the project manager and Schneider Electric’s solution architect in Korea worked closely with the system integrator partner, BMS EcoXpert Daelim I&S, to demonstrate to the customer that the SmartStruxure solution was commercially more competitive and would bring more value and benefits to the Towers. The Schneider Electric team and partner stepped in with a building management system design during a critical stage of construction. The SmartStruxure solution was able to integrate disparate systems to allow data aggregation and improve system efficiencies for better operational performance. And an Ethernet fiber-optic network was proposed as the main backbone for speed and high performance. This was implemented by applying an Automation Server with the I/O modules. The buildings’ entire HVAC system is controlled and managed by SmartStruxure solution for optimal energy efficiency. Additionally, the solution includes integration via BACnet IP to other systems such as power monitoring, integrated security, and CCTV, reports via facility workflow management software, Mitsubishi elevators, and Panasonic lighting. Each of these systems (power, security, and CCTV) is monitored separately, but the systems are coordinated through BACnet/IP. These state-of-the-art green buildings also feature many eco-friendly features, which were installed as part of the overall solution. They include an ice storage system for cooling, geothermal heating, rooftop solar arrays, rainwater detection, and management system, and raised floors with underfloor air distribution (UFAD) around the facility’s perimeter. The BMS design team estimates that significant CapEx savings are achieved for Gwanghwamun D-Tower by reducing the panel areas and saving space from the initial specifications, critical time-saving engineering onsite, and conserving budgets throughout the construction stage. Schneider Electric SmartStruxure solution allowed for the integration of disparate systems, improving operational efficiency and optimization. Results to-date include a 20 percent reduction in total HVAC energy use daily. Additionally, Gwanghwamun D-Tower is rated “The Best” by the Korea Green Building Council, and LEED Gold certification is in progress as a further demonstration of the buildings’ high energy efficiency achievements.